What Makes Offit Kurman’s Family Law Group Special? The American Bar Association (ABA) estimates there are close to 1.2 million active attorneys in the United States. With a population that large, it is little wonder clients often have trouble finding the right lawyer for their needs. When those needs are deeply personal and emotionally charged—as is often true for divorce, child custody, and other family law matters—the initial questions pile up: Is my attorney prepared to handle personal details and disputes fairly and professionally? Are they informed, qualified, and experienced enough? How do I know this is a person I can trust? For individuals and families looking for a quick, reliable way to assess a practitioner’s expertise, one answer lies in the American Academy of Matrimonial Lawyers (AAML). What is the American Academy of Matrimonial Lawyers (AAML)? Founded in 1962, the AAML is an organization dedicated to promoting higher standards of professionalism, proficiency, and integrity in the field of family law. The Academy awards fellowships to matrimonial lawyers who demonstrate a commitment to its exacting measures of conduct and skill in matters such as divorce, child custody negotiations, pre- and post-nuptial agreements, distribution of marital assets, collaborative resolutions, and more. Judges and colleagues in all fifty states recognize the AAML’s status as a chief authority in family law. The AAML’s executive committee and board of governors are comprised of preeminent matrimonial practitioners whose reputations exceed beyond the locations in which they practice. What is an AAML Fellow? A hard-earned distinction, AAML Fellowship is as prestigious as it is rare. Just over 1600 attorneys have been named AAML Fellows, and their numbers hover in the single- and double-digits in most states. There are only 33 Fellows in Maryland, for instance; states such as Montana, Arkansas, and South Dakota only have one or two. To be eligible for Fellowship, an attorney must meet a comprehensive set of criteria, including service on a local or national bar association, experience as a matrimonial law professor or course instructor, involvement as amicus curiae in a family law matter before an appellate court, and much more. For the full list of requirements, click here. Which Offit Kurman attorneys are AAML fellows? One AAML Fellow elevates any firm to an exceptional rank. Retaining two or three is extraordinary. Now home to five AAML Fellows, Offit Kurman’s family law group stands apart from other firms not only in our service area, but the nation at large. 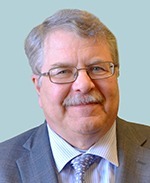 Offit Kurman’s five AAML Fellows are: Ronald L. Ogens Practice Group Chair Mr. Ogens serves as the Chairman of the Family Law Practice Group. Mr. Ogens’ practice as family law attorney is focused on the negotiation, settlement, and litigation of family law matters in Maryland and the District of Columbia. He is a past president of the Maryland Chapter of the AAML. 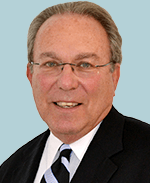 He has received numerous honors, awards, and recognition by publications and surveys, such as listing among the Best Lawyers in America in the family law category from 2008–2012 and 2014; Maryland Super Lawyers listing (2008–2012); Washington DC Super Lawyers listing (2008–2012); listing in The Washingtonian’s “Best Divorce Lawyers” (2000, 2006, 2007, 2009, 2011 and 2013); and Bethesda Magazine‘s “Top Divorce Lawyers” listing in 2010 and 2013. Cheryl L. Hepfer Principal Ms. Hepfer guides her clients to a resolution of their family matters through her expertise in family law and domestic law, negotiation, alternative dispute resolution, the collaborative process, or litigation. On September 2012, Ms. Hepfer was sworn in as the President of the International Academy of Matrimonial Lawyers (IAML), which is comprised of 700 of the most highly-regarded family law lawyers throughout the world. 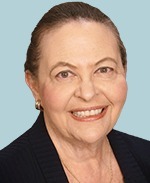 She is also former president of the AAML. Ms. Hepfer’s additional points of distinction include selection by her peers for inclusion in The Best Lawyers in America® from 2003-2014; listing as a Maryland Super Lawyers listing from 2007–2013, along with Top 100 status (Top 50 Women) in 2012 and 2013; listing as a Washington DC Super Lawyer from 2007–2012, and Top 100 (Top 50) status in 2012; and similar inclusion in top lists put out by The Washingtonian, Bethesda Magazine, and Baltimore Magazine. Keith Schiszik Principal Mr. Schiszik focuses his practice on complex family law matters involving separation, divorce and child custody. When possible, he negotiates out-of-court settlements through mediation, collaborative processes or settlement conference. When a fair settlement can not be reached, he is no stranger to taking issues to the courtroom. He has been selected as a Maryland Super Lawyer eight years running, and holds the highest possible (AV Preeminent) rating from Martindale Hubbell. Fred Silverstein Principal Mr. Silverstein’s legal career encompasses 15 years as a public defender, a term as president of the Howard County Bar Association, as well as memberships on the boards of such organizations as the District of Columbia Bar Association, Howard County Bar Foundation, and the National Family Resiliency Center. In additional to his certification as an AAML Fellow, he has been listed as a Maryland Super Lawyer for eight years running. Linda Sorg Ostovitz Principal A well-respected leader in her community, Ms. Ostovitz is recognized for her skill in and out of court as a lawyer, writer, and frequent lecturer. 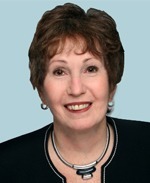 Her articles on family law matters have appeared publications such as the Maryland Bar Journal, Lawyers.com and USA Today. Aside from her AAML Fellowship, she currently serves as President for the Business Women’s Network of Howard County, a group which chose her as a Woman of Distinction for 2014. The Maryland Daily Record also named her to one of the 2015 Top 100 Women in Maryland. 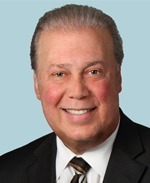 With eighteen family law attorneys, and five AAML Fellows among them, Offit Kurman is equipped to handle any matrimonial dispute, negotiation, question, or challenge. To learn more about our family law group and get in touch with an attorney today, please click here.